How do we Think Brand in a new, digital world? inspire marketers and agencies to think about today’s iconic brand building and what’s possible through digital tomorrow. The best brand building isn’t online or offline; it’s an integrated story that connects with Canadians, catalysing them to think and do. Last week, we hosted 800 marketers to discuss some of the most pressing issues facing the industry. We hope this is just the beginning of how we can collectively #thinkbrand and create advertising that is immersive, engaging and meaningful for Canadians. At Google Canada we see our job as helping brands understand digital as it continues to redefine marketing. With that goal in mind, we organized our first ever Think Brand Week to inspire marketers and agencies to think about today’s iconic brand building and what’s possible through digital tomorrow. The best brand building isn’t online or offline; it’s an integrated story that connects with Canadians, catalysing them to think and do. YouTube Canadian Collab Program videos are in! we teamed up with a group of motivated and talented Canadian creators to collaborate and make some video magic happen. Andrew Hunt (andypandy311) and Andrew Gunadie (Gunnarolla) have created a 'Party Anthem' for people who hate partying. The short club banger of a song talks about all the benefits of staying in and having a nice bubble bath, verses standing around in a hot/sweaty dance club all night. "NEthing Reviews and Fun Time Internet will be debuting their collaboration — Tubenight — in a week-long extravaganza from May 5th to 9th. Hosted by Nick and Elliott from NEthing Reviews, Tubenight is a late night talk show featuring interviews with and musical performances by prominent YouTubers. Joining Nick and Elliott will be the hilarious and opinionated Shimmy, VFX wizard Yung Lee and indie rockers The Elwins. Be sure to check out the NEthing Reviews channel for all the tubey goodness!" NEthing Reviews and Fun Time Internet will be debuting their collaboration — Tubenight — in a week-long extravaganza from May 5th to 9th. Hosted by Nick and Elliott from NEthing Reviews, Tubenight is a late night talk show featuring interviews with and musical performances by prominent YouTubers. Joining Nick and Elliott will be the hilarious and opinionated Shimmy, VFX wizard Yung Lee and indie rockers The Elwins. Be sure to check out the NEthing Reviews channel beginning May 5th for all the tubey goodness!" Aimee Davison of OneHundredJobs and Jonathan Lahue of JustEyeballIt, who both star on WeWareYTube teamed up to make a parody about the backlash against the millennial generation; as well as an animated dream showing the endless creative potential of green screens. A shout out and thank you to Pie In The Sky Studios for being such a great resource, this would not have been possible without your participation. Don’t forget collaborating is the best way to grow your channel and your audience - so reach out and make friends with your fellow YouTubers. It’s no surprise that when you want to find some great Canadian talent …. you’ll find it on YouTube. What happens when one super talented Canadian YouTuber gets together with another super talented YouTuber? That’s what we wanted to find out. Earlier this year following our Canadian Collab program we teamed up with a group of motivated and talented Canadian creators to collaborate and make some video magic happen. who turns to YouTube to share her love of makeup, fashion and life, engaging more than 350,000 avid fans and subscribers. This is the third post in our week-long Think Brand series. Q: How did you get started on YouTube and why? A: My first job out of school was in CPG marketing, and I was living in a new city by myself. I enjoyed experimenting with makeup, and I remember one day heading to Google to search for a celebrity makeup look and finding a YouTube video demonstrating how to replicate the look. From there I was hooked on this blossoming community of girls who shared my passion for all things beauty and fashion. I went from commenting on others’ videos to creating my own videos as a fun hobby, to joining the StyleHaul network and growing my channel. I’ve been blessed that it took off from there. Q: What makes YouTube an ideal space for the fashion and beauty industry? A: The beauty of YouTube is the cycle of engagement between the video creators and the audience. In the fashion and beauty industry, YouTube takes the hot trends and the classic styles that used to be a one-way monologue from magazines and runways to consumers and turns them into a dialogue. When I make a video, I get feedback from my subscribers about how they wear the style that I shot, which gives me ideas for the next video style becomes more accessible, familiar and fun! Q: What do you look for in brand partners? A: The most successful partnerships I’ve enjoyed have been with brands that value creative collaboration and shared pursuit of goals. Brands that are adept at working with creators view a partnership as a dialogue and make excellent use of the knowledge and experience I have in the space. YouTube viewers are discerning and value authenticity. Brands that want to shoehorn a TV commercial into a YouTube video are missing out on the real opportunity that exists in the medium and risk alienating often will alienate viewers both from the brand and from the presenter. Q: Why do you love creating original content online? A: I loved studying marketing and chose it as a career coming out of school because I love understanding the dynamic between a presenter and an audience. The difficulty as an impatient young marketer was that everything seemed to move slowly, from my perspective! As I started out in the YouTube space, every video felt like a campaign and the feedback was instant. The constant iterations allowed me to try new things and be bold. I still love that dynamic, and with the added collaboration with the StyleHaul network I never get tired of learning from my subscribers and fellow content creators better. Q: How has your channel changed over the years? A: While the main themes of beauty, fashion, and lifestyle have been the same, the milestones in my life over the last five years have had a direct influence on my channels. Since starting on YouTube, I got engaged, got married, moved several times, and welcomed our daughter into the world. Having my subscribers along for the big events in my life has been a joy and I have tried to use those moments to encourage, support and entertain them as they go through similar times. Editor’s Note: Today’s guest blog post is from StyleHaul Network creator RachhLoves who turns to YouTube to share her love of makeup, fashion and life, engaging more than 350,000 avid fans and subscribers. This is the third post in our week-long Think Brand series. are on the rise, suggesting that Canucks need some help picking out a special something for a special lady. To help demystify the rockstar that is mom, Google Canada and IPSOS Reid recently surveyed Canadian moms on their purchasing habits when it comes to cosmetics, hair care and skin care. The survey, ‘Inside Mom’s Shopping Cart,’ reveals significant differences in the purchasing behaviour of mom based on her age, her kids’ age and where she lives. Moms on average spend $956 annually on beauty products. It looks like picking out a Mother’s Day gift may be easier than you think. Our survey reveals that when it comes to cosmetics, skin care and hair products, Canadian moms know what they want. Before making a purchase, moms only consider 1.6 skin care brands, 1.7 hair product brands and two cosmetic brands, demonstrating their extreme beauty brand loyalty. Chances are mom’s brand of choice is already part of her collection! When it comes to buying beauty products for themselves, moms take one to three days to make decisions. They’re the quickest to purchase hair care products, taking only 1.3 days to make a decision, while the purchasing cycle for cosmetics and skin care is slightly longer at 2.6 days. Moms are a tech-savvy bunch. Sixty-seven percent of moms use smartphones and 47 per cent use tablets, so it’s no surprise they turn to the web for product research. What is one of the most popular resources among those who use the web for product research? Online video! Moms watch an average of 3.8 online videos to help with each cosmetic purchases. The Millennial mom (ages 18-34) dedicates an average of $64/month on beauty, spending the most on skin care. They’re also the group that watches the most online videos before making a skin care purchase. The Gen X mom (ages 35-49) has a slightly larger beauty budget of $69/month. Like their younger counterparts, Gen X moms spend most of their beauty dollars on skin care. The Boomer mom (ages 50+) spends the most on beauty per month at $83, most of which goes towards skin care products. Moms with kids under six years old spend the least on beauty annually. Those with youngsters spend $625 on beauty products per year. It looks like as the kids get older mom’s beauty budget gets bigger. Moms with kids 6-17 years old spend $895 on beauty products annually. Once the kids move out moms have more room to treat themselves. Moms with kids 18+ spend the most on beauty products annually at $987. Moms living on the Canadian coasts prefer to go au natural. Ontario moms spend the most on beauty annually at $1,015 per year, followed by Quebec moms who spend $800 on beauty products per year. West coast moms spend $775 on beauty products per year and Atlantic moms spend $555 annually. Across the board, moms spend the most on skin care with the exception of Ontario and Western Canada moms who spend slightly more on cosmetics. Mom’s location affects her loyalty. Moms on the West Coast are the least brand loyal and consider the most brands before a purchase. Quebec moms are the most brand loyal. And while Mother’s Day shopping is in full swing, don’t forget about Dad! That’s right, searches for Father’s Day were much less than those for Mother’s Day last year. A trend we’ll see again? Time will tell. Until then, happy Mother’s Day! As Mother’s Day approaches, searches for ‘Mother’s Day gifts’ are on the rise, suggesting that Canucks need some help picking out a special something for a special lady. To help demystify the rockstar that is mom, Google Canada and IPSOS Reid recently surveyed Canadian moms on their purchasing habits when it comes to cosmetics, hair care and skin care. The survey, ‘Inside Mom’s Shopping Cart,’ reveals significant differences in the purchasing behaviour of mom based on her age, her kids’ age and where she lives.
. You can even “pin” specific albums and playlist songs so they’re available when you’re offline. You can try it today for a special launch price of $7.99 a month and you get the first 30 days free. Regular pricing for those who sign up after June 30 will be $9.99 a month with the first 30 days free. With today’s launch, Google Play becomes your ultimate digital entertainment destination, where you can find, enjoy and share your favourite apps, games, books, movies, magazines and music on your Android phone or tablet. First, there were apps and games. Then books. Followed by movies and magazines. And now... music! 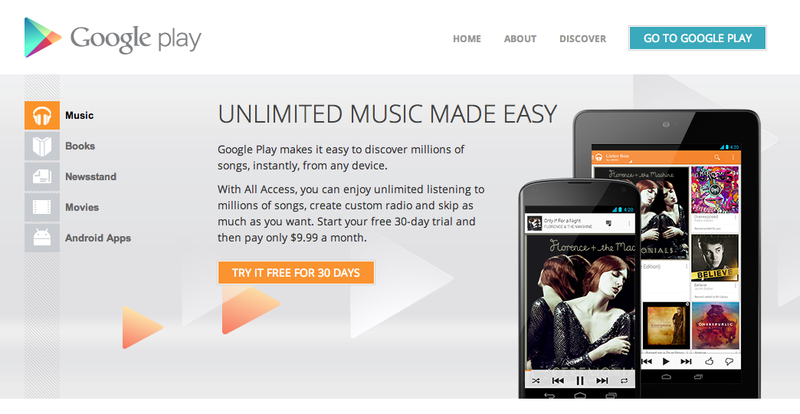 Starting today, Google Play Music will be available in Canada! Google Play gives you an unlimited pass to 25 million songs on all your devices — from all the major record companies, as well as top local and independent labels. And when millions of songs just aren’t enough, Google Play Music lets you combine our collection with your own collection. You can store 20,000 songs for free online, and listen to them alongside the All Access catalogue on any Android or iOS device, or via the web at play.google.com. You can even “pin” specific albums and playlist songs so they’re available when you’re offline. Great brand marketing moves people. And in doing so, it moves business. Released at the height of the Vietnam and Cold Wars, this sixty second commercial elicited a heartfelt response from an anxious global audience. The company received more than one hundred thousand letters. The song was a top ten hit. “Hilltop” would become a defining campaign for one of the most recognizable brands on the planet. Some things don’t change. Today, successful brands make those same emotional connections with the consumer. But what has dramatically shifted is the media landscape and how consumers in this digital age make those same connections. Television, the medium behind that great Coke ad, remains very relevant today but is no longer the dominant brand platform, as Canadians now consume more digital media than ever before, surpassing TV. More importantly, consumers have embraced the interactive, immersive and connected multi-screen world. And the brand aiming to ascend this generation’s Hilltop understands the opportunity the digital landscape presents. The most successful brand marketers are the ones who design campaigns with the web in mind from the outset - they recognize that their audience is increasingly online and that the digital canvas is one that is boundless and immersive. An innovative and amorous example is the Burberry Kisses campaign from the British fashion house, which allows you to send a message around the world and to seal it with an actual kiss. 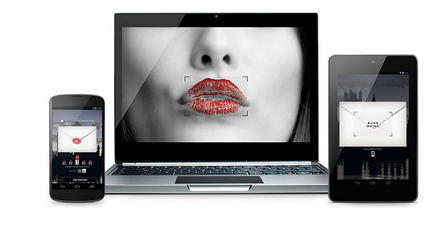 A 'Kissable' display turns advertising into an intimate interaction that doesn’t feel like traditional marketing. The campaign created an emotional connection between the brand and the consumer and captured the romantic view of the world that threads its way through the British brand. Whatever a brand’s development priorities might be, digital allows for finely tailored community interactions, be they educational, retail driven, or even a whimsical virtual kiss. For someone in the marketing business, this equates to CRM gold. Effective brands no longer rely solely on broadcasting to the masses, but interact directly with individual consumers. When I think of the potential to make that personal connection, I’m reminded of a tune by Arcade Fire, a band from my hometown of Montreal. In collaboration with digital artist Chris Mill and Google’s Data Arts team, Arcade Fire built a beautiful digital artwork that connects one-on-one with every user. The Wilderness Downtown uses Google Street View to create a music video that revolves around the neighborhood where you grew up. It’s a powerful and intimate moment that no broadcast medium could ever achieve. It’s a project that builds brand awareness in a fun, accessible way that’s true to the DNA of the brand - or band, in this case. Digital offers marketers a new canvas for crafting deep and engaging brand stories in an accessible manner. But the real potential of digital isn’t just in the creative possibilities, it’s in the data. Driving every effective campaign today is the technology to zero-in on the right audience for the brand. Campaigns can be tweaked in real-time, TV spots can be tested and honed on YouTube, and marketers can move quickly to capitalize on trends, insights and consumer behaviour which can only be found online. Digital allows brands to link all their touch points from retail, to e-commerce, to CRM, to communication platforms in one relevant brand ecosystem. For brands in search of their own ‘Hilltop’ moment, digital is helping lead the way, connecting the right consumer to the right message, at the relevant time and place. Editor’s Note: Today’s post is authored by Marie Josée Lamothe, Google’s Managing Director of CPG and Branding for Canada and Managing Director of Quebec. This is the first post in our week-long Think Brand series. Summer 2014 Google Community Grants - Apply Now! Through our Google Community Grant Program we have had the opportunity to fund a range of initiatives including a digital divide program launched by North York Community House in Toronto as well as an after school program managed by Pathways to Education Canada in Quebec. When evaluating proposals, impact matters most. We’re looking for projects with a measurable impact in the community, where Google’s in-kind or volunteer resources may help maximize the impact, as well as your organization’s track record on related programs. Please keep in mind that in order to be eligible for the Google Canada Community Grant Program the organization must be a registered Canadian charity. If you believe your organization fits these guidelines, please submit your proposal today using one of the links above. Attention Toronto, Waterloo, and Montreal nonprofits! Google Canada is excited to announce our summer round of Google Community Grants to help fund organizations working on projects that support Science, Technology, Engineering, and Math (STEM) education for underrepresented communities, internet adoption, online safety or greening our communities.